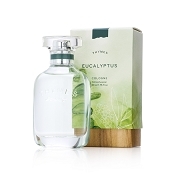 With a fresh and cleansing blend of invigorating eucalyptus oil, crisp Italian lemon, lime and petitgrain, the Thymes Eucalyptus is positive and alive. The rich hand cream will help heal your hardworking hands and keep them hydrated between washings. Size: 2.5 fl oz. / 70 ml . Ultra-hydrating Shea butter & glycerin. Soothing Aloe Vera & safflower oil. Lovely scent...creme is a little thick, though. 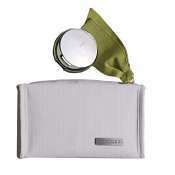 I like the Thymes products, the eucalyptus scent especially. I've purchase their lotion, but never the creme...I wanted a small container to carry in my handbag, so I thought I'd try this. The scent is fine, but I think the hand creme a bit thick. It's ok to put on just before bed, but not if you're going to be handling things...they'll get greasy. I love anything Eucalyptus, so this hand cream is wonderful!